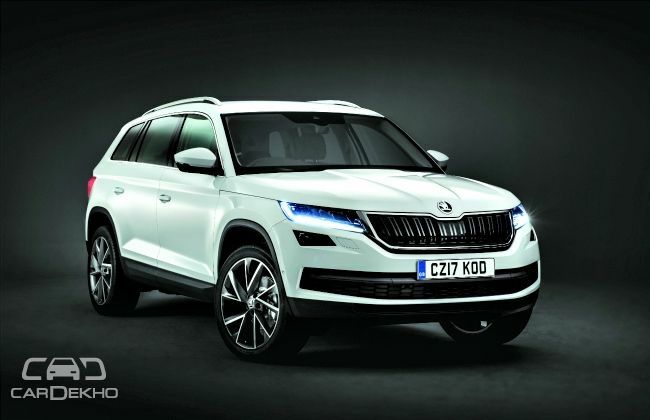 We already know that the Skoda's flagship SUV, the Kodiaq, will make its way to the Indian market this year. However, the Czech automaker has now listed the upcoming SUV on its Indian website as 'En Route', which suggests that the SUV is likely to be launched in the coming months. The Kodiaq was first showcased as the Vision S concept at the 2016 Geneva Motor Show in early 2016 and in September 2016, Skoda unveiled the production version in Berlin. 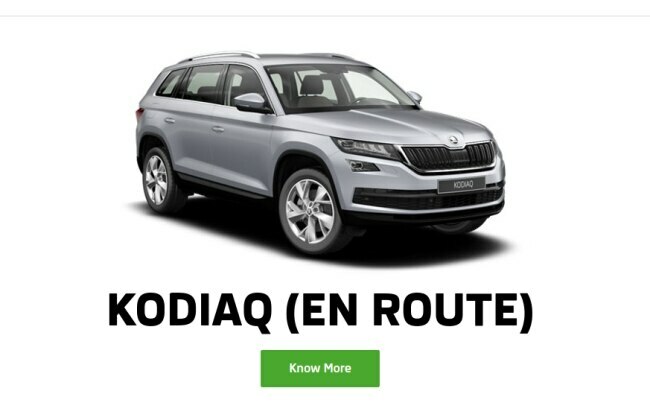 The Kodiaq is the first seven-seater SUV from Skoda and is based on Volkswagen Group’s modular transverse matrix (MQB) platform which also underpins the upcoming Volkswagen Tiguan and many other cars from the Volkswagen Group including the Skoda Octavia and Audi A3 and A4. 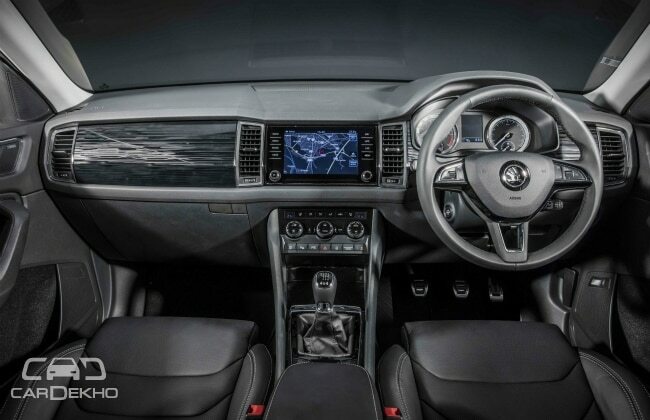 The Kodiaq has similar interiors and features as the Skoda's flagship sedan, the Superb. It comes with a touchscreen infotainment system with support from Apple CarPlay, Android Auto, and MirrorLink. While a 6.5-inch unit is standard, it also offers a bigger 8-inch unit with navigation on higher variants. It has an optional wireless charging for smartphones along with an LTE module (4G) and a WLAN hotspot. It will also be offered with a a Canton Sound System like the Superb and the one in the Kodiaq is rated at 575 watts and features ten-speakers, including a subwoofer. The Kodiaq is powered by two petrol engines – 1.4-litre and 2.0-litre TSI (both turbocharged) – and one diesel engine, 2.0-litre TDI, which is available in two states of tune. The engines are coupled to a 6-speed manual and 6- or 7-speed DSG dual-clutch automatic transmissions. The Indian version is likely to get the 2.0-litre petrol and diesel engines. It is expected to have a starting price of around Rs 25 lakh and will compete with the likes of the Toyota Fortuner and Ford Endeavour.